Only, it’s not. Because now I’m a Mom of two kids who will eventually be teenagers. I’m already seeing some of the hormones developing in my 10 year old. And since getting through puberty is something everyone has to go through, as a parent you can at least make choices to ease some of the transition, right? We’re already at the orthodontist. Ironically it’s my youngest (7) who has started there. He will be getting expanders soon. But we’ve been told that both boys will need braces in the not-so-distant future. It’s nice to know that the experience of getting braces doesn’t have to be anything to dread anymore with the Invisalign option. The Invisalign Teen clear aligners are removable and can straighten teen without a mouth full of metal and all the disruption that comes with it! It just seems like such an awesome option worth the money when it means your child will have one less reason for social awkwardness. Here’s more about how Invisalign works. So I’m sure one of the things you are wondering about is cost. Braces don’t come cheap and you may think, like I did, that Invisalign is an even bigger cost. It’s actually a myth that Invisalign is more expensive than metal braces. The cost of Invisalign is usually comparable to the cost of traditional braces and many dental insurance plans cover Invisalign just as they would braces. From folks I have talked to, it seems like you’re going to be paying a bit for braces regardless but if you’re going to be paying anyway, seems like a no brainer to go with the one that looks better cosmetically! Your experience in middle school sounds just like mine! I really hope that kids today can avoid that sort of thing. 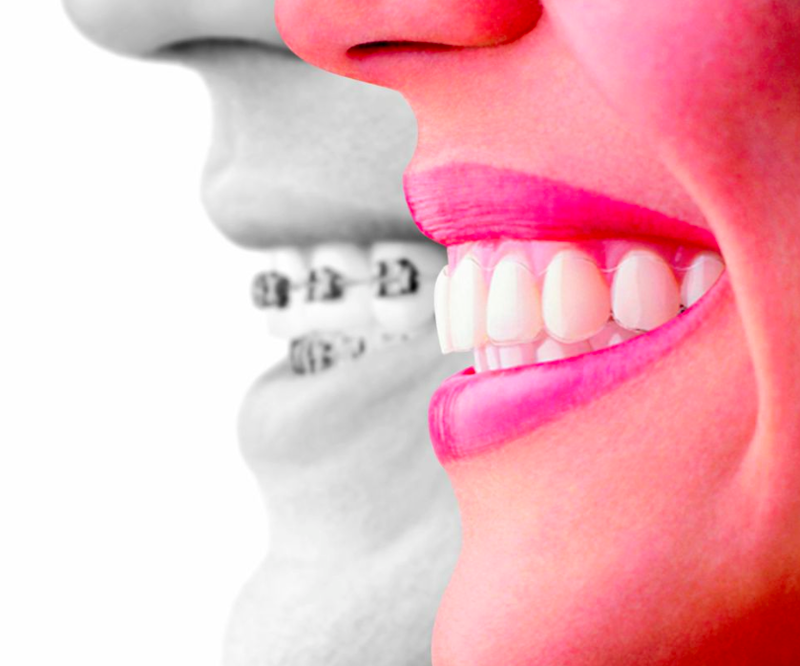 Orthodontics are definitely important, and it’s great that there’s more options today. Imagine how much easier middle school would have been with something like Invisalign! Kids today don’t know how good they have it!